Reselling Fiverr Gigs To Make Big Money Online – You’ve been using Fiverr the wrong way all this time! I’ve found after studying Fiverr for the last year that people are making $1000 of dollars per day reselling Fiverr gigs for double, triple sometimes even ten times the worth. I’m here today to do a no BS guide that will teach you how to earn $500 every week, from about 3 hours work in total. Are you ready? In this video I’m just going to give you a breakdown of how to resell Fiverr gigs. I recommend reading the full article below for anyone looking to do this method correctly. This article was written on the 21 – 12 – 2014 and the method I’m talking about still works amazingly. So the first thing that you need to do is head over to Fiverr.com and create your own account. It’s good to have a nice picture and a little description about yourself. You need to find what Fiverr gigs you want to resell. I’ve created an article with the top-selling Fiverr gigs, you can go check it out and get some ideas. All of these services sell like hot cakes when promoted correctly. I recommend just heading over to Fiverr, search some categories and look for the highest reviewed gigs. You only want to be creating a services for categories with gigs that have over 1000 sales. Step #1. Pick your Domain name. I recommend buying a domain name through your hosting, it can sometimes be cheaper and is a little easier for beginners. Try to make your domain name include the name of your service. Example: Olisamazinglogodesign.com, articlewritingpro.com, etc. Step #2. Get some cheap hosting. I use HostGator. It’s easily the best hosting service for the price. Get your first month for $0.01 when you use Oliisawesome as a coupon. Step #3. Now install WordPress to your Cpannel, This takes a few minutes and I believe you can ask the HostGator team to sort it out for you. Step #4. Pick how you want your website to look. You can use a free theme like these or you can get a professional service theme here. Step #5. Install the theme and you’ve now got a fully running .com website that you can promote and send traffic too. Step #6. You need to create a: Contact us, portfolio page, blog, privacy, terms of service and you can also do a disclosure. The privacy pages can be brought on Fiverr for $5. Not to hard right? Just follow them steps and use the comments below if you get stuck. I will setup your site for free, just use the comments and ask me. So now you’ve got your industry and your service website. You’re now ready to start testing. This is where you test the gigs you’re going to be reselling for quality and efficiency. For this tutorial I’ll use logo design as an example. So, at the start of testing all you’ve got to go and buy eight different gigs. As I’m using logo design as an example, I’d go and buy eight of the highest rated gigs in logo design. I just get them to create 8 versions of the logo I want for my service site. The only catch is that they’ve got to be able to complete the logo design in under 48 hours. I was on Fiverr for 10 minutes and managed to complete this step. Now you’ll just have to wait a few days for your logos to be created. Once they’ve been completed you need to pick 3 logo designers that you’ll use all the time. You need three people who’re nice, get the job done quickly and create amazing logos. I also always look for a bulk deal, someone who’ll give me a deal when I buy more than 5 gigs at any time. Most suppliers will give you that if you ask nicely. Now you’ve found your three suppliers it’s time to buy another 8 gigs. These are for your portfolio, people always like to see the work that you’ve done before they buy from you. So it’s a great idea to have at least 14 nice logo’s in your portfolio. Once you’ve got the 16 logos, just delete any that look bad and upload the rest to a portfolio page on your website. Now you just need to update the last few things on your service website. Things like text, the services and maybe do a few blog articles. The last thing you’ve got to do on your site is pick a price. Now using logo’s as an example I’d probably charge around $13.95 per logo. That makes me a nice $8.45 per sale from almost zero work. I recommend only going around 8 to 15 dollars over the price of the actual gig. With logo design it’s almost impossible to go over $15 per logo, due to their being so much competition, but with other industries, like voice acting and proofreading the skies the limit with pricing. After your service is completed, it’s now time to promote it EVERYWHERE and I mean EVERYWHERE! I always start with Facebook advertising. I set up a campaign that will run for 30 days, spending $3 to $5 per day, at the beginning it’s usually a bit slow, but after the first week things really do start picking up. I only use Adwords once I’ve started my second week of promotion and I don’t spend more than $3 per day, the costs of Adwords is high and the conversions can sometimes be a bit low. I then Head over to BuySellAds and buy $100 worth of ads on sites that are in web development (Just because I’m selling logos). This usually converts nicely and it’ a great way to promote a new service. I then create sales pages on forums that allow promotion. Places like Black Hat World, Digital Point and Warrior Forum. It does cost money, but the sales are usually worth the $20 price tag. I then setup all the social media accounts and promote them to the max. I use my Twitter guide to promote my Twitters, and I use my Tumblr and Pinterest guides to build a massive following on both of them platforms. I highly recommend you go over to my 20 killer ways to get Traffic and implement all of them into your advertising strategy. You’ve now just got to sit back and let the money come in. Once you set up one of these Fiverr resell services you’ll see how simple it is and hopefully open up 3/ 4 of them. They usually take around two weeks to start making a profit, but once they start making a profit they don’t stop. Depending on the niche, your advertising spend and your ability to promote this can vary. But I usually estimate around $550 profit per week and $970 in total. That’s from around 10 sales per day at $13.95. This method involves no work and no risk as long as you have a refund policy and live up to it. Hopefully you can see the power of opening 3/4 of these service sites. All you need is 40 sales per day at $14 to be earning close to $120,000 per year in profit. Now personally I’ve just started using this method properly and I’ll keep you all up to date with how it goes. Just join my mail list for regular updates. Reselling Fiverr Gigs To Make Big Money Online – I hope you’ve enjoyed this article on how I and loads of other people are earning money by reselling Fiverr gigs. Have an awesome day and if you need any advice or help please feel free to ask me. Are you acting as a go-between for the Fiverr logo designer and the people visiting your blog looking for logos? 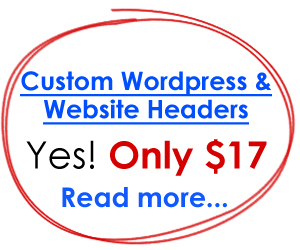 Specifically, someone visits your website and pays you $13.95 and then you forward the request onto a specfic Fiverr designer to complete and pay him/her directly? Exactly. I’d set up a quick WordPress website (logo design service), charge $13.95, then promote the website using Facebook, Adwords, Banner ads, etc. When someone purchases one of my logo’s, I head over to my pre-picked list of Fiverr logo designs (deliver 3 days at max) and buy the logo there. When complete I send it to the client. You’ll always want to pick Fiverr gigs with one/two revisions, just so you can get the logo perfect if needs be. This is a great article, however, I was just wondering how people are successful with this business model, because, why would a customer purchase from a reseller at a higher price when they could just go to fiver themselves and purchase directly from the service provider for $5? For a few reasons, people think that when you spend extra money you get extra (not always true). There’s also a lot of people who don’t know about Fiverr, and once you have a Fiverr you’ve got to find someone who actually knows how to do a good logo, that process of work usually scares people off. It all depends how hungry and aggressive you are. If you really push it, work hard, promote you can earn thousands. You just start today, start learning and after you’ve done it a few months you start understanding how reselling Fiverr gigs works. The only way you can really make money is acting. Most good logo companies charge 350 to 750 dollars for good logo/business logos and concepts, so when they see someone with a really strong portfolio, a money back guarantee and the price of a few bucks, it’s hard to resist. As long as you work hard, have a semi reasonable and safe site, you’ll be fine. I hope this helped you out pal and if there’s anything I can do feel free to send me a message :). Thanks for this article. May I ask if you can help someone set this up? If you can, then how much? Hey mate, sure I can help you set it up I actually do a whole blog creation service (thecreators.es) and I’m happy to set this up for you. Or I can create a more in-detail guide? I’m doing a lot of updates on the content of this site so will be more than happy to go a bit more in-detail if there’s anything you’d like to know? Have an awesome day, Oli.